Picture from simon3 : Colour coordinated rubbish. 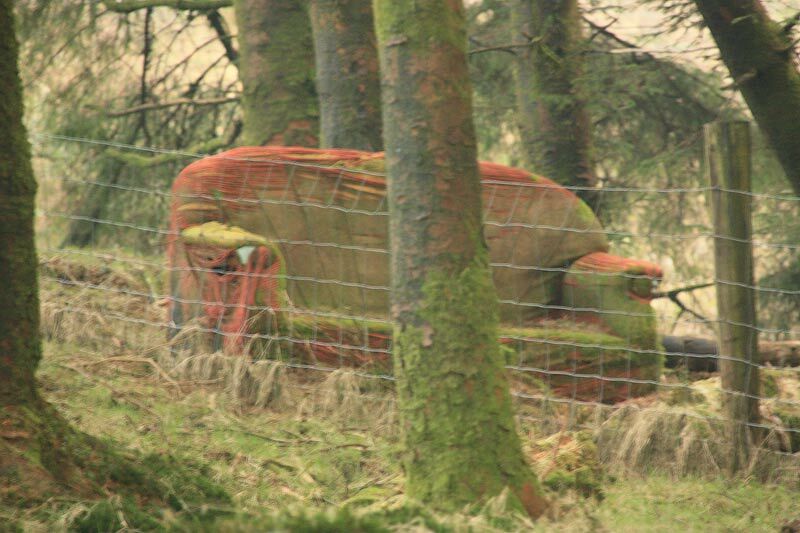 Discreetly nestled in the forest as you make your way to this top from the Knockanroe Forest Recreation Area is some unattractive dumping. Of course some might see the dumping as an Artistic Statement highlighting man's Despoilation of Nature. Take for example the lugubrious but magnificent armchair. Careful selection of colour, coupled with a sophisticated appreciation of the weathering effect of moss has made this seem to naturally fit but still say something profound about Despoilation. Seriously though this mess at R8445 6938 B is visible from the parking area and I have reported it to the EPA, who have allocated it reference number 10378. I would be interested to hear from future reports whether this is cleared. I rang the advertised 7 day a week EPA (Environmental Protection Agency) hotline at 1850 365 C 121 not expecting much to happen on an Easter Monday, but no my incipient grumpiness couldn't be justified because my call was answered immediately and efficiently.